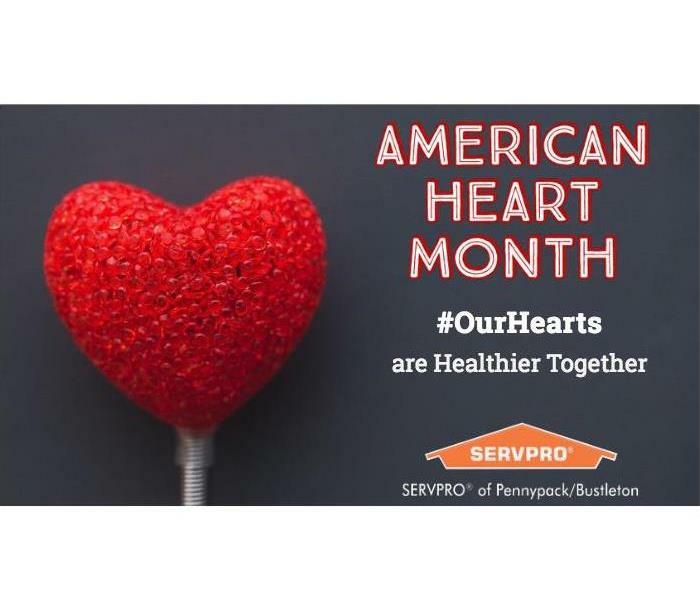 Every February Americans join together to educate their communities on the importance of heart health. Heart disease can be prevented with things most people can find time for in their day, such as choosing a healthy diet and working out a few times a week. 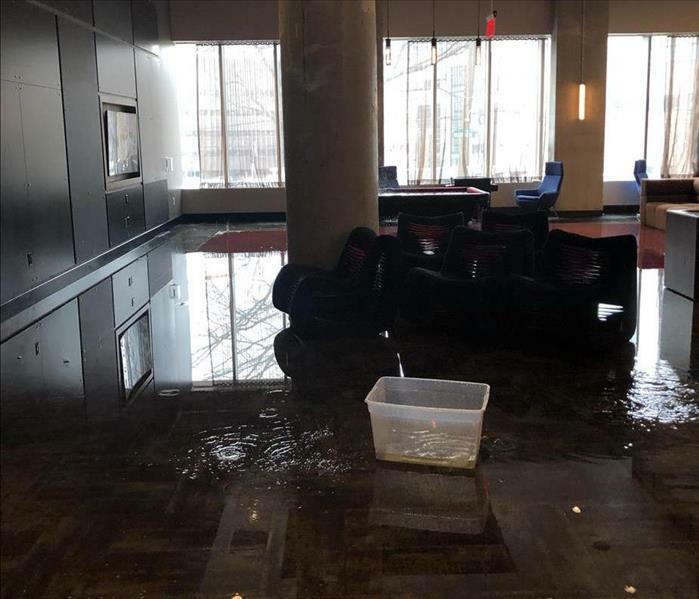 Unfortunately a sewer pipe broke in Summit Hall at Drexel University early this morning. 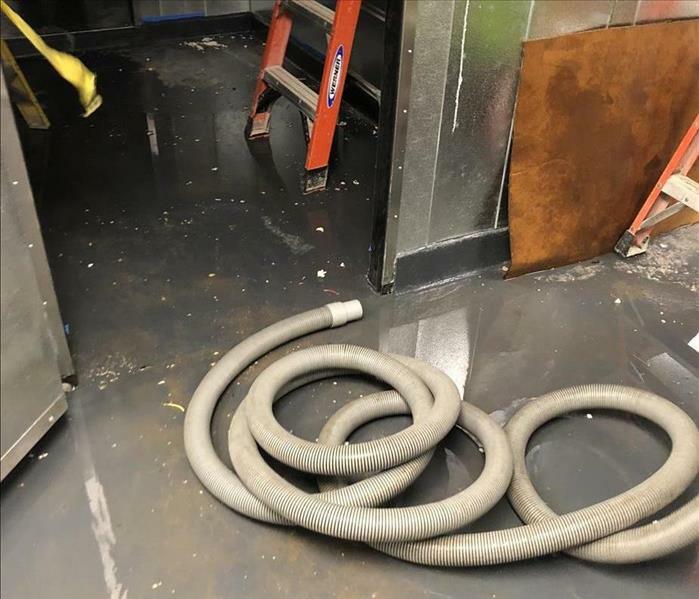 It caused so much water damage that our crew said it was almost as if it was raining inside! We sent almost all of our crew members over to the hall today to start the remediation immediately. Today we celebrate all the brave men and women who serve our communities as law enforcement officers. We greatly appreciate everything you do each day to ensure our communities are safe. This church was affected 100% with a medium level of soot from a puff back. We had to hepa vac and sponge all of the structure while maintaining air quality with air scrubbers. We also had to control minor smoke odor that was present with vapor sharks and a hydroxyl generator. 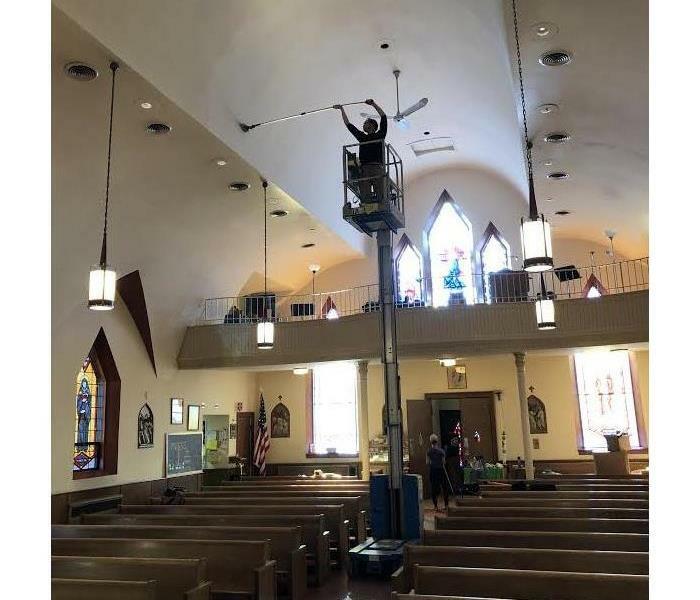 We had to bring in 1 man lifts to access the 30 feet high ceilings in the main chapel. All of the soft goods will be cleaned with our Esporta machine located at our main warehouse. The total job will take 7 days to complete. One of our new production vans just finished being wrapped! Our crew is eager to start using it. We are excited to have new vehicles to provide the best possible service! Hydrating Heroes lll is Coming Up! This picture is from last years Hydrating Heroes ll. 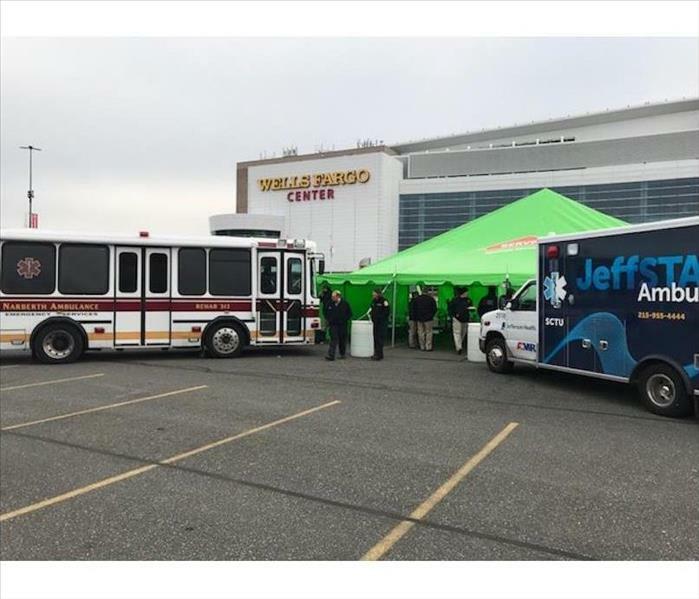 We will be hosting Hydrating Heroes lll again at the Wells Fargo Center in Philadelphia to show our appreciation for all first responders! We boarded up the local McDonald's that was completely destroyed in a fire a few weeks ago. The damage to the roof can be seen as wires, lights and bars are hanging down. 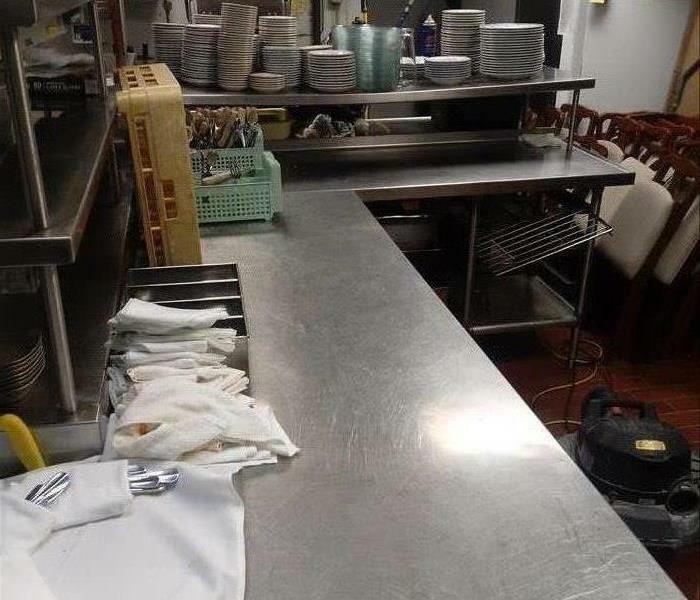 Over the summer we were called down to a restaurant in Philadelphia to perform a commercial clean. We sent a crew at night after the restaurant closed and got it completed within a few nights. This is another picture from the house that had an attic filled with mold. You can clearly see the mold going up the wood beams. The entire attic ended up being treated. A homeowner called us to have her attic remediated for mold. When we got there we discovered mold scattered throughout the entire attic. This job required the entire attic to be HEPA vacuumed, sprayed, wiped and sealed. 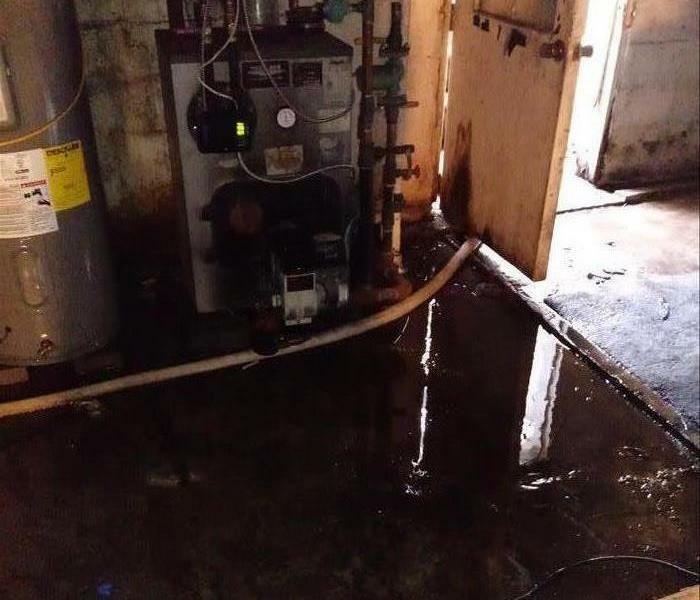 This family's hot water heater broke recently and caused water damage to their hardwood floors. The discoloration from the water can clearly be seen. The hardwood ended up having to be removed. This picture shows all the rubble that was left in one of the apartments after the fire. There are beams from the ceiling that have fallen along with many household items. This roof took on some damage after one of the heavy summer storms. Luckily we were able to get out to this customers house and patch the roof up quickly. 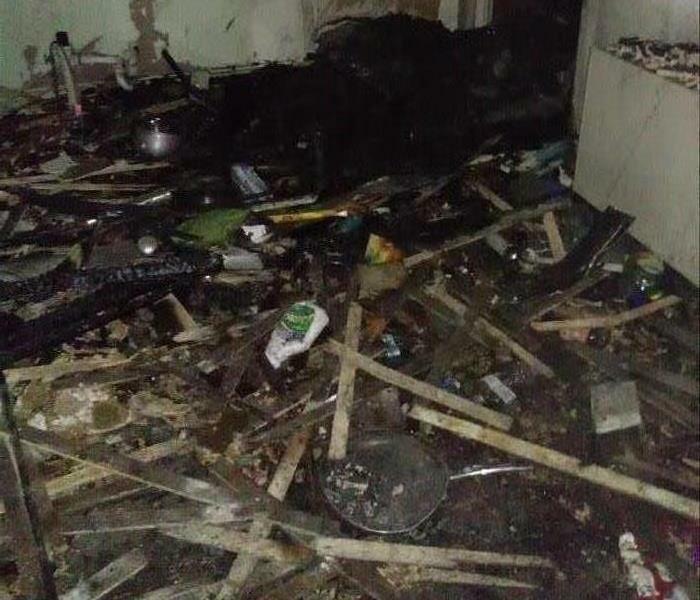 This is a picture from inside the local McDonald's that recently caught fire and was completely destroyed. Although it is dark you can see just how serious the damage was. This water damage actually occurred due to a leaky pipe on the 3rd floor of this families home. The paint as you can see is sagging due to the dampness from the water. 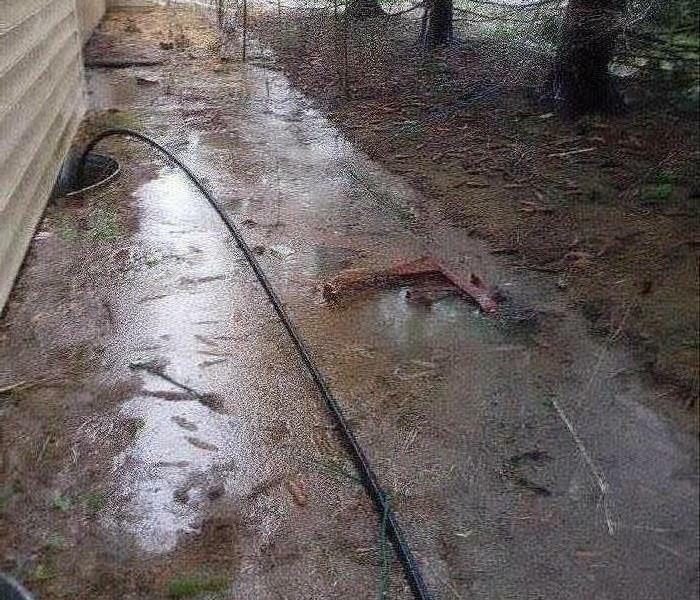 This is the outside of a home that had water pouring in to their basement and home after very heavy rains. 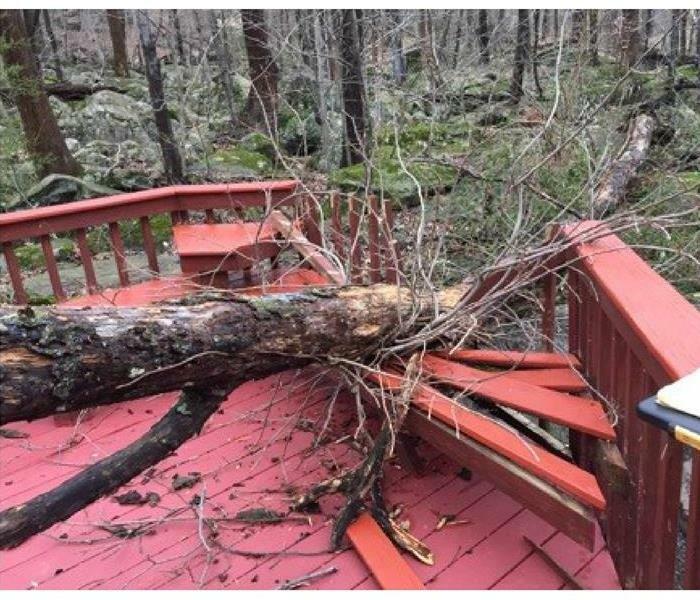 This picture shows how this storm impacted the outside of their house and their land. When a fire breaks out the smoke can creep in to places that the fire never even touched and leave behind soot. 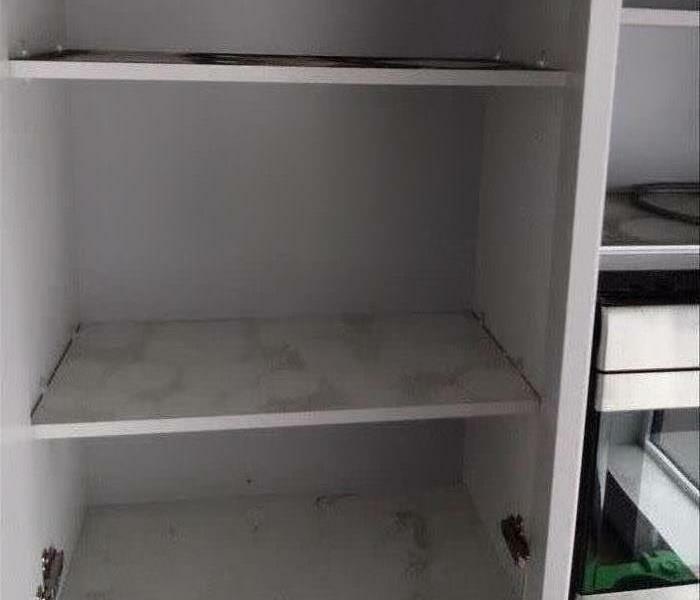 You can see it clearly affected this apartments cabinets leaving behind empty spaces where glasses once stood. 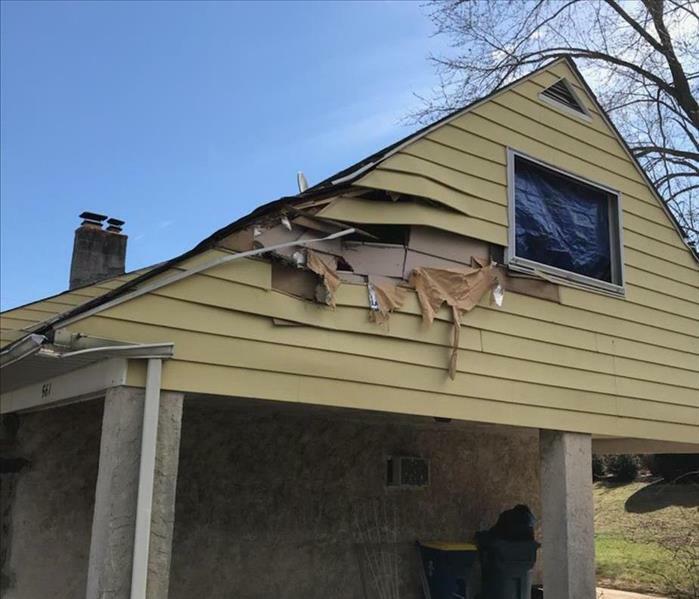 Many of our storm damage calls have to do with water damage but at times there is some real damage done to the structure. We can also come in and help fix situations like this. 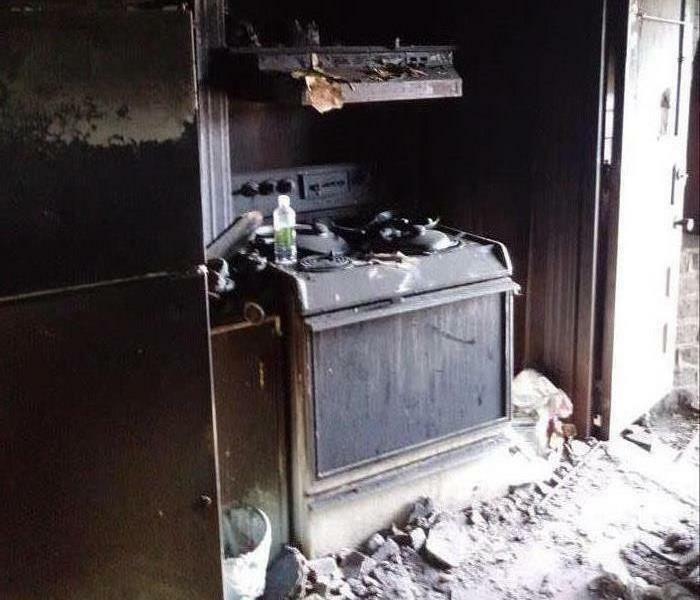 One of the harder parts of fire remediation jobs is seeing the devastating aftermath. It is heartbreaking to see someone else's belongings completely destroyed but knowing we are helping them get back on their feet makes it all worth it! The Bush House was a very large project for us and we were on the scene right away. Here is an example of one of the apartments kitchens. The oven is completely destroyed and covered in debris and soot. This is a picture of the outside of part of the Bush House in Quakertown, Pa. The fire damage going up the side of the building running up from the windows is clearly visible. With all the mold jobs we have been getting recently, we have a multitude of mold pictures to show! This is just one area of the basement that was affected. This home was converted in to a commercial business. There were many other spots on the walls, foundation and dry wall that had to be remediated as well. Yet again another summer storm hit and caused this house a great deal of damage. When our team arrived there was actual streams of water flowing in to the basement from outside. We were able to help them remove all the water. 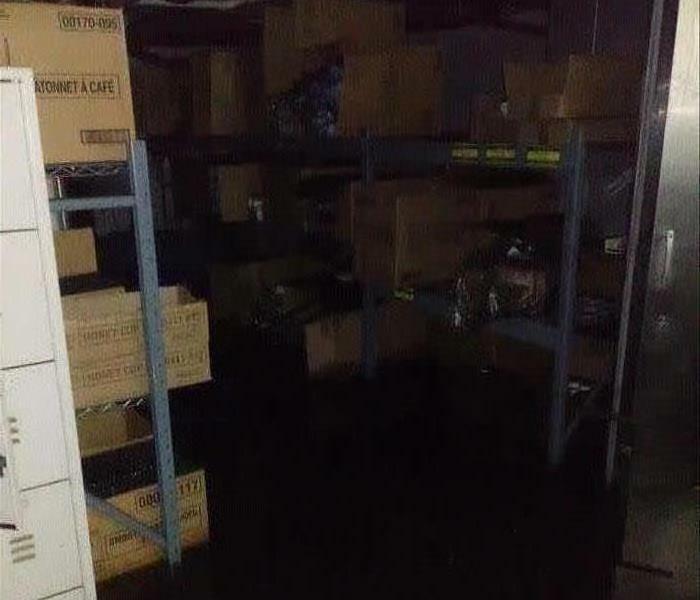 Recently we helped out a shoe store in the Oxford Valley Mall that had incurred some water damage. 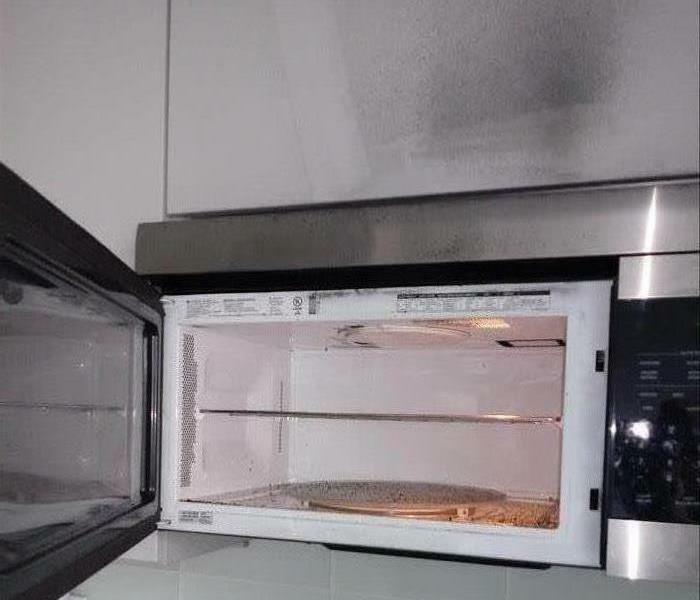 The water marks are clearly visible in the photos. They were very impressed with our service. One morning this summer a family discovered that their water heater had broken and caused water damage that affected many rooms in the home. The ceilings in most of the rooms too the most damage. A customer called us out to his home to take a look at some mold he found growing. White mold was actually the reason we were called even though you wouldn't automatically think that from the picture. Our team was called to this household on a water damage job but when our guys arrived they also found some mold growing. 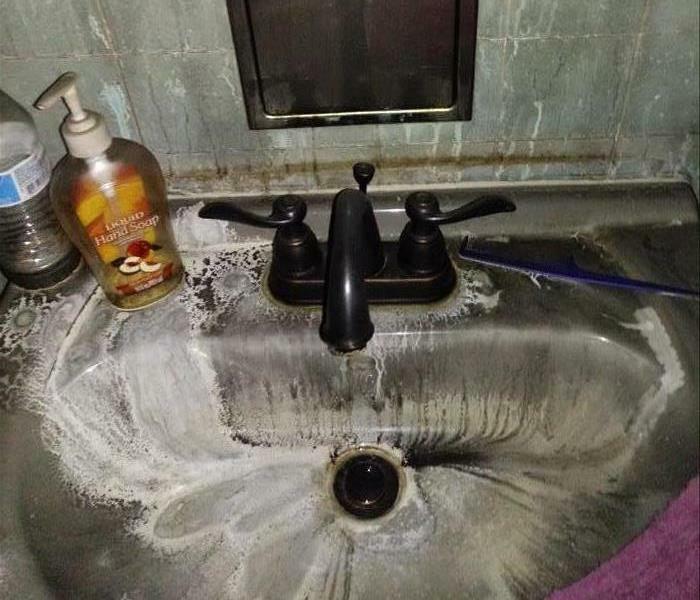 Mold growth is quite common when it comes to water damage and we always come prepared for both! 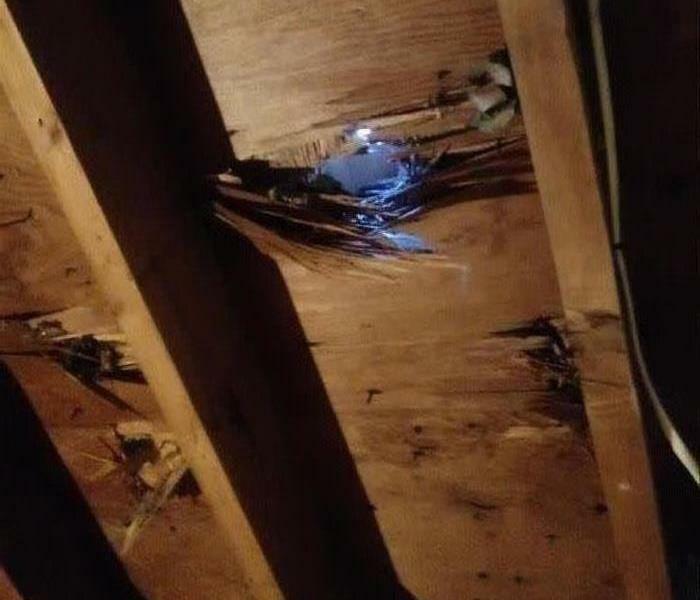 Our team got called out to a local business who had discovered some pretty severe mold growth in their basement. This was only a small portion of the mold we removed at this job. 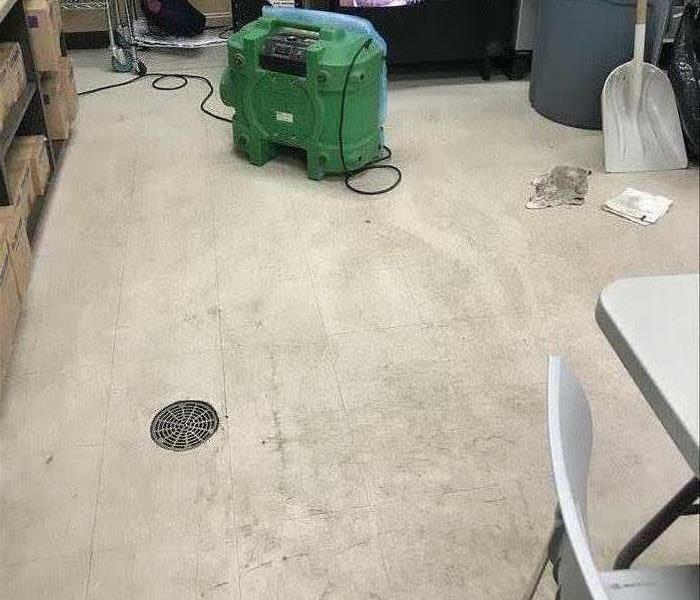 Here is another picture at a local school of a water damage job our team took care of. The amount of water on the floor can be seen clearly but it was not a problem for our guys! One of the signs that your roof may be leaking are spots such as the one in the picture. 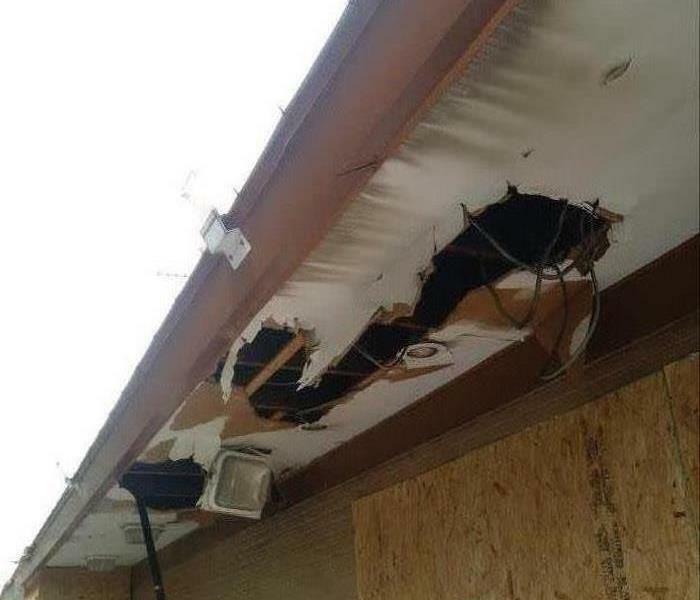 This patch is a water damaged ceiling that our team came out to repair in an apartment complex. A picture of one of the water damage jobs we got called out to handle. As you can see there is quite a bit of water spread throughout the basement. Our team was able to get it restored in no time! 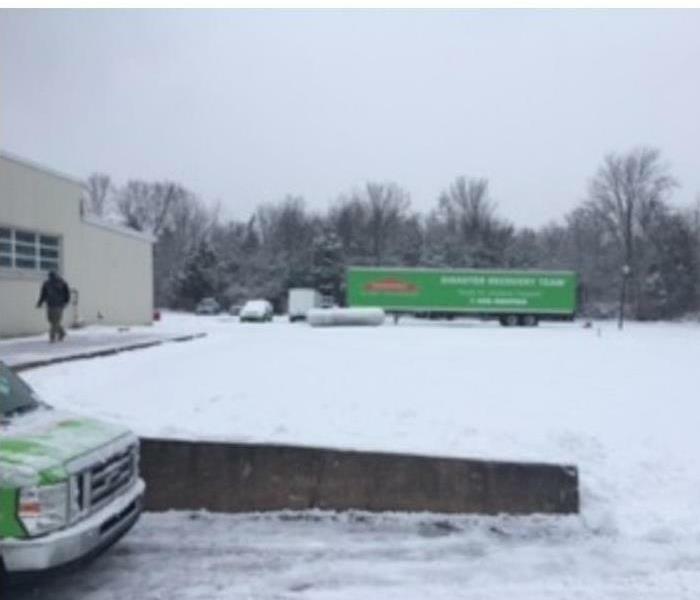 Towards the end of the summer SERVPRO of Pennypack/Bustleton received many calls from schools in a variety of locations in Pennsylvania. These schools discovered that mold had started to grow in their classrooms after they had been closed up for summer. Luckily we were able to help them get their classrooms clean in time for the school year! Mold Grows in Basement of Home! Our phones have been ringing left and right for mold remediation jobs! This summer consisted of many hot and humid days making a perfect environment for mold to grow. Check your homes for mold today to ensure a healthy living environment! 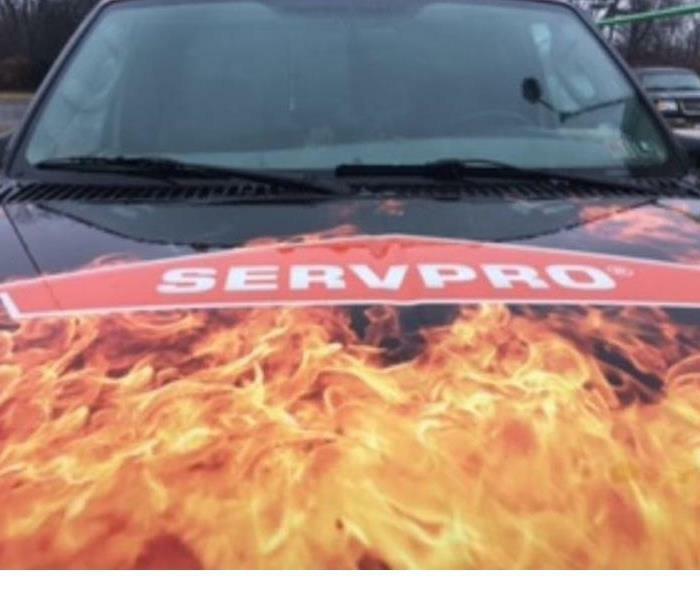 SERVPRO of Pennypack/Bustleton recently got called over to a commercial apartment complex to take care of an apartment where a small kitchen fire broke out. 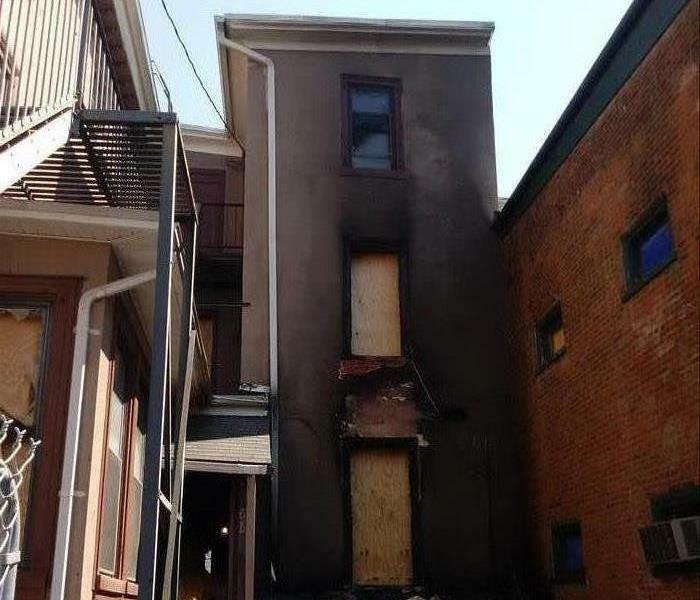 Luckily for the tenant, the fire didn't cause very much damage. You can only prepare so much for a storm. There is almost nothing you can do to keep trees and branches from crashing through your home.When the unexpected hits, we can come in and make it look like its brand new! 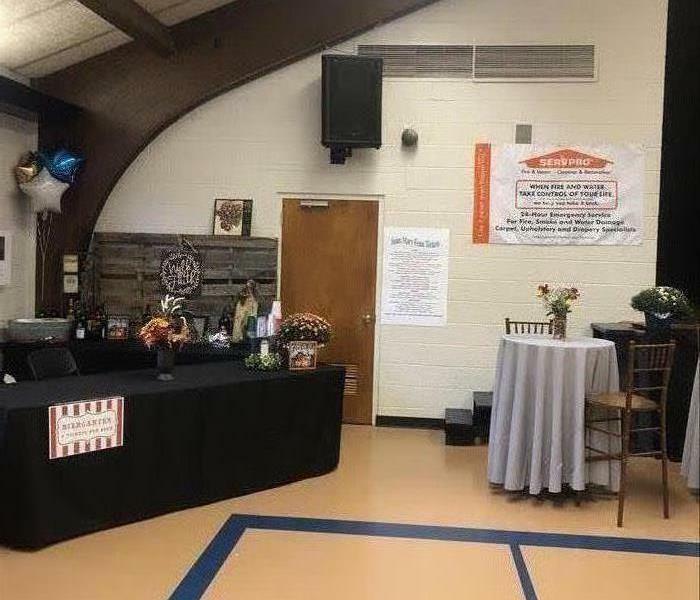 Last week SERVPRO of Pennypack/Bustleton helped Saint Mary's Church in Schwenksville, Pa as a sponsor for their Bier Garten event celebrating The Feast of Saint Mary. Our banner was displayed during the event! 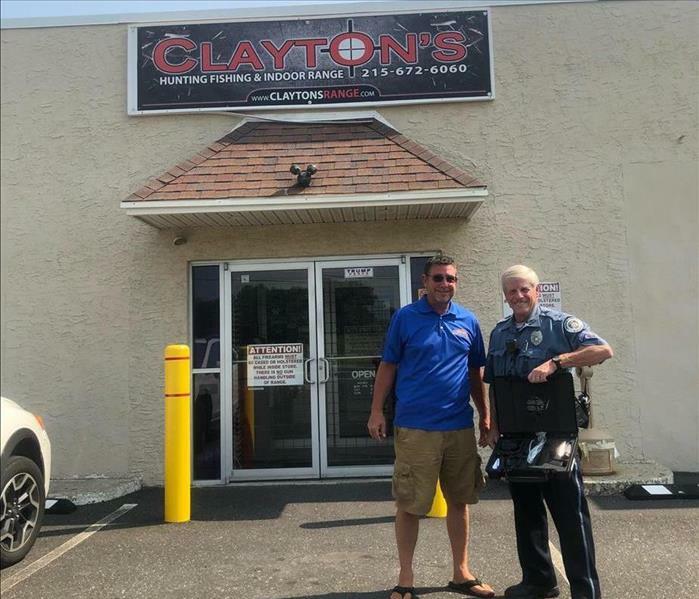 The recipient of the FOP Conference raffle received his prize this past week! The FOP conference was held in Harrisburg Pennsylvania this years over two days and featured several sessions for the members. Congratulations & enjoy! 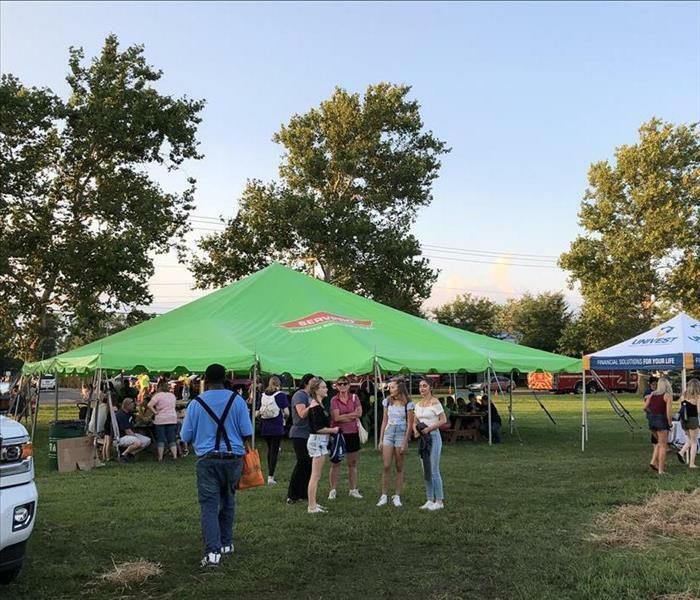 This week Quakertown was hosting their annual carnival through Saturday August 11th and asked SERVPRO to use our big green tent! We love making our presence known in the community and are always willing to help as much as we can! 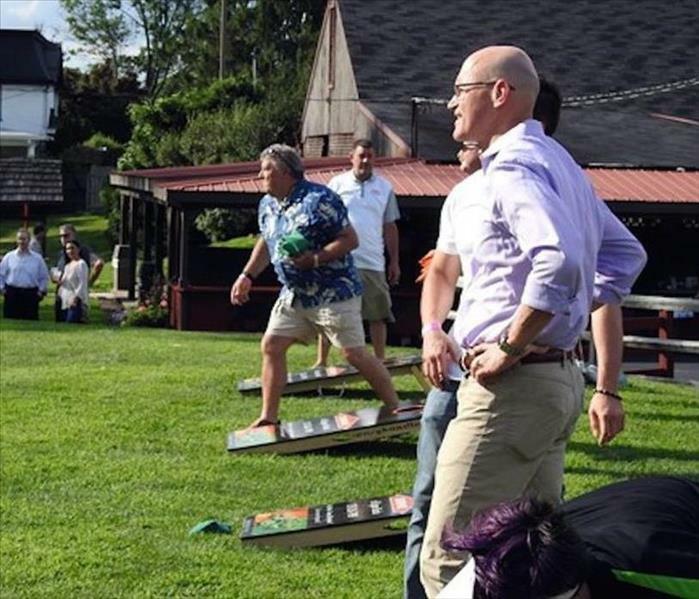 Last week SERVPRO sponsored a corn hole event at the CAI Summer Picnic in Blue Bell, Pennsylvania. Over 100 CAI members came out for the event and 12 teams participated in the competition. SERVPRO donated a custom corn hole set of the winners choice as the prize. 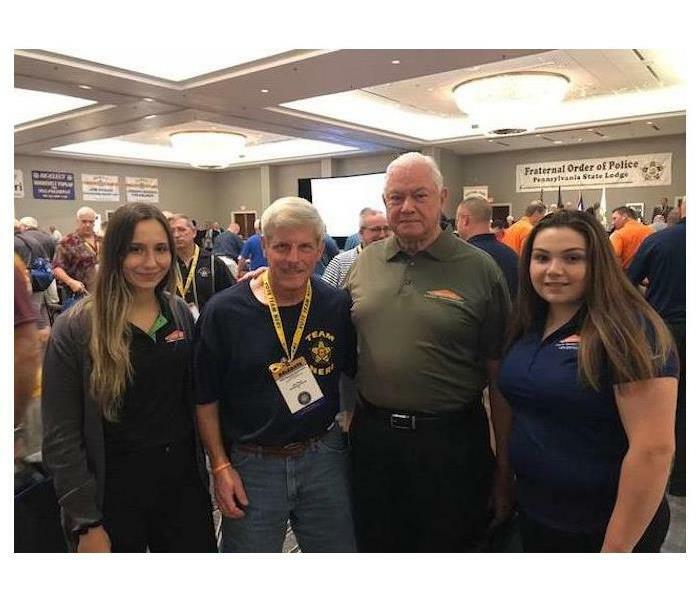 SERVPRO attended The Pennsylvania Federal Order of Police Conference on Monday July 30th and July 31st at the Hilton Hotel in Harrisburg. 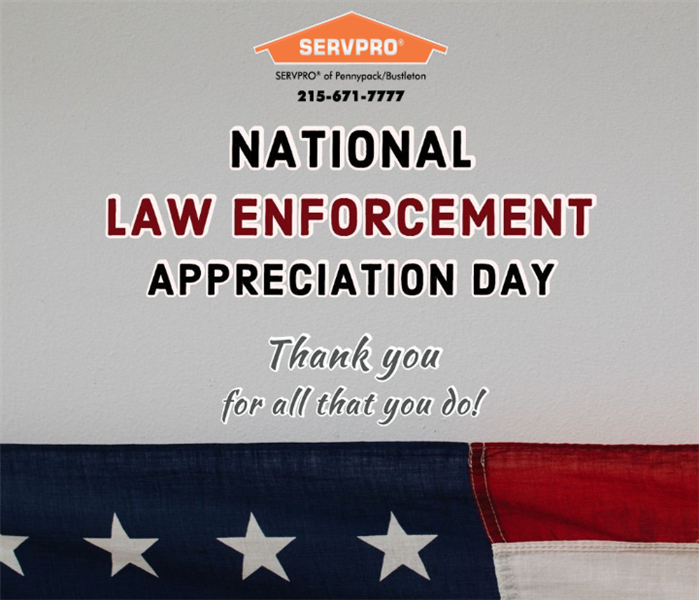 SERVPRO is always happy to support all who protect and serve. Faster to Any Sized Disaster! Snowy Days Don't Stop Us!! !